Cossitt Law | Should I file for Bankruptcy? This article, part of a series, provides an excellent overview of the difference between chapter 7 and 13 bankruptcies, lets you know the best time to file for bankruptcy, and sets out what a bankruptcy will cost. Importantly, the article corrects common misconceptions about bankruptcy. 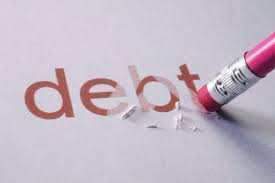 While you should consider other options first, do not wait until the last minute to think about bankruptcy. Important rights may be lost by delay. Contact Cossitt Law and get on the road to resolving your financial problems today! The National Consumer Law Center (NCLC) is a wealth of information for consumers facing a large amount of debt. They recently published a series of articles that provide advice for families in financial difficulty. Articles include such topics as debt collection harassment, medical debt, credit reporting, reverse mortgages, foreclosures and loan modifications, car repossessions, and wage and bank account garnishment.